Can graduated from Department of Biology, Hacettepe University in 2015. Before joining Biogeography Research Lab he had some experiences in spider sampling and scorpion venomics. He says that nature observation has always been one of his biggest ambitions and his hobbies are directly linked with it. He is now interested in phylogeography and niche divergence in terrestrial vertebrates, especially birds. Lider graduated from Department of Biology, Hacettepe University in 2015. Before joining Biogeography Research Lab he worked on a comprehensive bird atlas project in Turkey. 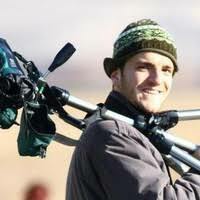 He is especially keen about birds of Turkey and now is working on community ecology based on Turkish bird atlas data. He joined Biogeography Research Lab in 2017. Eren Ada - Eren finished his master degree in June 28th, 2016. His thesis project examines effects of climate change on the distribution patterns of certain vertebrate species including reptiles, birds and mammals, particularly in broad (Europe) and small (Anatolia) geographic scales. He moved to University of Rhode Island as a research assistant and PhD candidate. Onur Uluar - Onur has had a research assistant position at Akdeniz University.